Bill Lawrence was born in Bronx, N.Y. He joined the U.S. Navy as a flight mechanic. He is survived by his wife, Marion; daughters, Linda Hansen of Thomaston, Karen Lawrence and her husband Frank Corsetti of Thomaston; his brother, John Lawrence of Queens, N.Y.; six grandchildren and two great-grandchildren. He was predeceased by his brother, Donald Lawrence. 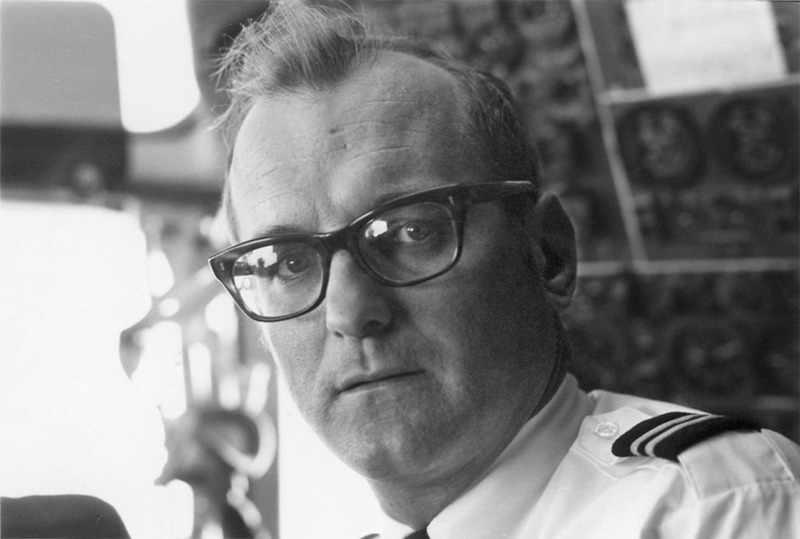 Bill is seen here in a DC-8 during a Japan Airlines trip in 1970.